Data from the acquisition offers of over 40,000 businesses has shown that there are 8 factors that acquirers will pay a premium for. Now you can benchmark your business against these 8 Core Drivers of Value to discover what's driving the value of your company and what could be silently dragging it down. The ultimate freedom is to own a business that is valuable and sellable. Take the first step with the Value Builder Score. Answer 30 questions to get your Value Builder Score out of 100. ​​It's free of charge with no strings attached - it will only take you around 10 minutes to complete. Access the Value Builder Scorecard which rates your business against each of the 8 Core Drivers of Value. 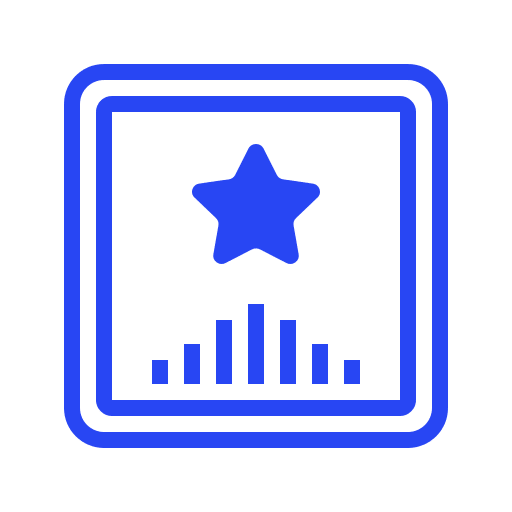 Achieve a Value Builder Score of 80+ - and based on our quantitative research of over 40,000 businesses - your company will be worth 71% more than the average business. Whether you're planning to sell or not, when you build for value you are designing a business that is successful in all the traditional ways (profits, cash flow, staff retention etc) but you are also creating an asset that gives you options. You can scale, sell, pass down to family or stay on as the Chairman and step out of the day to day. How will the Value Builder Score help you? Preparing your business for sale involves looking at many facets of your business and reviewing how a buyer would see them. We often treat our businesses like our 'baby' - in doing so this may not be attractive for a new buyer to step in and take over. The Value Builder Score will allow you to see your business through the eyes of an acquirer. Doctors check your blood pressure because it is one of the simplest ways to discover heart disease without an invasive and risky procedure. Likewise, The Value Builder Score will evaluate your business as it stands today honing in on areas that may be holding you back - so you can take action. The Value Builder Score is a tool that will give you a comprehensive assessment of how to value a business. You'll have a snapshot of where your business sits now and you'll understand the strengths and weaknesses that impact the value of your company. You can then implement the proven methodology to take your business to new heights. Your company may have valuable, untapped attributes that could improve your bottom line and maximise exit value. The Value Builder methodology helps uncover these, so you know what to focus on to achieve the best results. 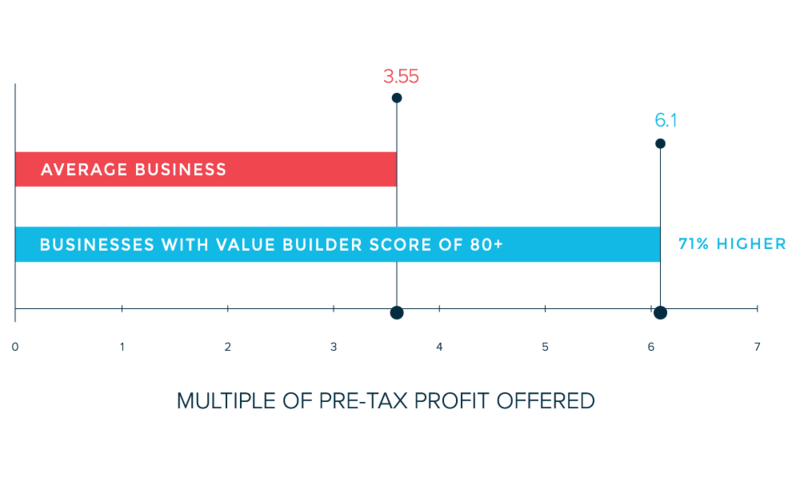 After analyzing more than 40,000 businesses we’ve discovered that companies achieving a Value Builder Score of 80+ get offers that are 71% higher than the average business when it comes time to sell their company. In fact, we’ve seen examples of businesses that are worth two or three times that of a similar business in their industry because they have structured their operations the way acquirers like to see things. We all have a yearning for freedom. You most likely started your business for that desire of freedom. However, that dream remains elusive for many business owners. We call this the "Owners Trap" when you feel like 'everything' and 'everyone' is relying on you. Taking the Value Builder Score is the first step in helping you break free of this and starting to create some independence from your business.